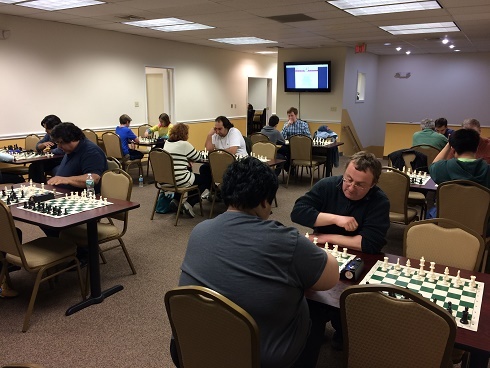 This week CCFC hosted a Blitz tournament with 17 total players! Zachary Tanenbaum and Mikhail Koganov won first and second place, respectively, with 8/9 total points each! CCFC's own Ian Harris followed close behind, in third place, with 7.5/9 total points. Oliver Cherinin earned fourth place with 6.5/9 total points. And finally, Ricardo Perez earned fifth palce with 5/9 total points. Congratulations to the winners and thank you all participants. We hope to see you soon!